Every day, people in California are placing their used automobiles up for dale on craigslist, or in the local newspaper. However, since We Buy Cars San Marcos is conveniently located in San Marcos California, there is a much easier way to sell the unneeded family vehicle. One thing different about this company is that they do not sell cars to the public. They only purchase them at a very fair value. If the individual has a used automobile that he or she is looking to sell and wants to get as much cash as possible, there are three very simple things that the person needs to do. 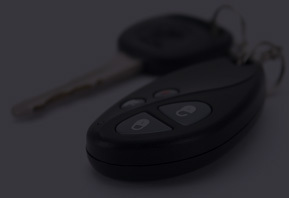 The First step is to contact the company by telephone, once the individual has done this and left all of the information about the car they are attempting to sell, the company will return the individuals phone call promptly with an offer for the car. Once the person has received a return phone call, and an offer has been made on the automobile, the company will then make arrangements to go pick up the vehicle and pay the owner, if the price that has been offered is agreed upon. If not, then the owner of the vehicle is free to pursue other ways to sell their automobile. Selling the car to Our company is quicker, and far safer than placing the car on craigslist, more and more people in Marcos California and the surrounding areas are turning to this type of company to sell their used cars and get the cash to purchase something much better. However, it is not going to do the individual any good to ask this company if they might have a different car that they might purchase, as this company does not sell the cars they purchase back to the public. Selling a used car to We Buy Cars is much easier than trying to find a used car lot anywhere in California that will offer a fair trade in value. Normally any car lot will refuse most used cars that people want to try and trade in or even sell, because of its age, make, and model as well as having high mileage. Even if a car lot does agree to take the car as a trade in, the price they offer is just not all that appealing. Of course the individual has the option of placing the car on sites such as craigslist or in their local newspapers, but this just ties up the seller’s time, with mass phone calls, no shows and people who want to try and talk the seller into lowering the asking price. With our company nothing could be easier or quicker than making one phone call, supplying all of the information about the car, and waiting for a prompt return phone call. There are no constant phone calls, no concern about sitting around all day waiting on people who do not show up, or even running the chance of having to lower the asking price just to get the car sold. Once We Buy Cars makes an offer on the car that is for sale and the individual agrees to the offer, the company will send someone out to pay for and pick the car up. This frees up the sellers time, gets them some quick cash in their hand as well as gets rid of a vehicle that is no longer needed or wanted. There is always the chance as with anywhere else, that the car may not be what We Buy Cars will purchase, but this is only in rare instances when the used car is just not worth anything but being sold to the local wrecking yard.